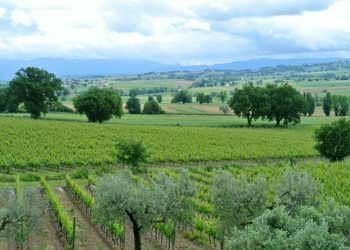 If I was going to describe the cuisine of Umbria to anyone I would probably mention pork, olive oil, and truffles within the first sentence, as all are particularly important ingredients used in many Umbrian dishes. 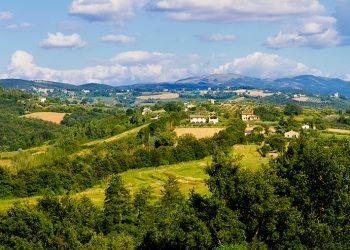 Truffles, also known as tartufo, are harvested in the wild from the forests of Umbria which apparently has the right conditions for growing this very popular fungus. 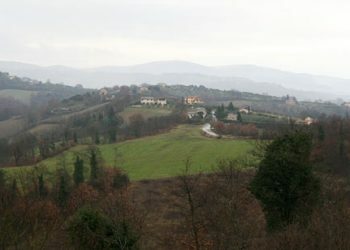 Black truffles are much more common in Umbria than white truffles and therefore are also much less expensive. 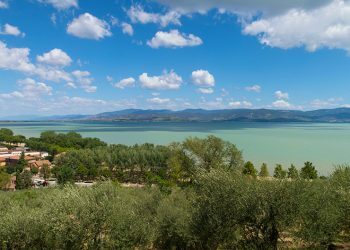 It is reported that the optimal period for harvesting black truffles in Umbria is from October through March though we have been able to purchase some very nice black truffles through the summer months as well. I am told this summer truffle is named tuber aestivum and though it is said to be less aromatic than the truffles that grown through the cooler months, it combines well with other foods such as mushrooms and artichokes, particulary in sauces. White truffles are generally best harvested in Umbria between October and December and are found around Orvieto, Gubbio, and the Tiber Valley and can be found around the roots of oak, linden, willow, and popular trees. 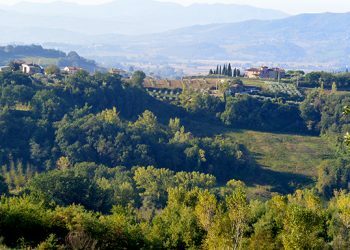 There are at least ten different truffle varieties that grow in Umbria, though the tuber melanosporum Vittadiniis said to be the most valuable due to its pungent aroma. Truffles grow underground around specific tree roots in soil with a high clay content and today dogs and not pigs are used to find and harvest them. Black truffles need only a gentle rinsing and a brushing to remove any loose soil before using them in your recipes. 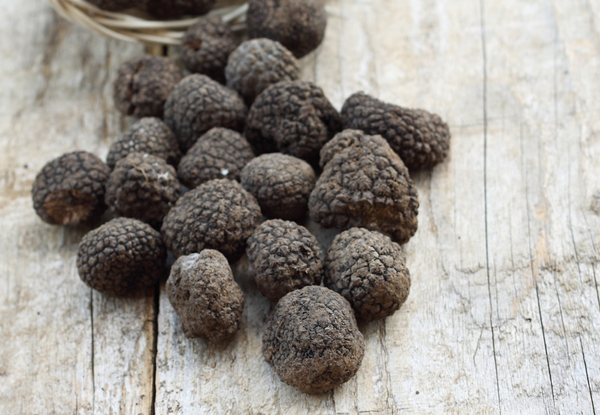 Many dishes from appetizers to main courses are enhanced with the aromatic black truffle in Umbria, and when used properly add an earthiness to each dish that is used in. Fresh truffles should be stored carefully to retain its natural aromatic qualities and is best used shortly after it has been harvested. To store fresh truffles for a couple of days, it is best to wrap them in paper, then again in damp paper towels and store in the refrigerator. We have also been told that truffles freeze well if vacuum sealed though so far we haven’t had a lot of luck in freezing truffles ourselves. 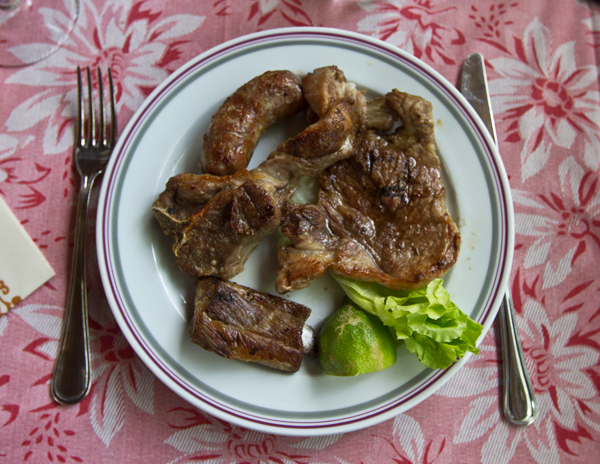 When we first moved to Umbria, I must admit that I was a little skeptical about eating this strange ingredient that grows as a fungus underground and yet is so highly praised by so many. 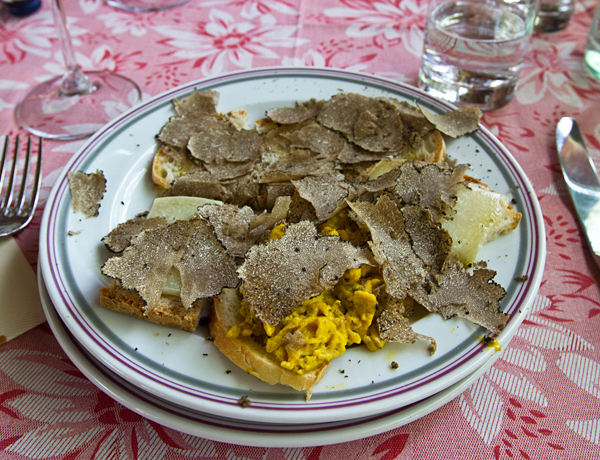 I am now a convert however, and love just about any dish that is served with fresh, aromatic truffles. 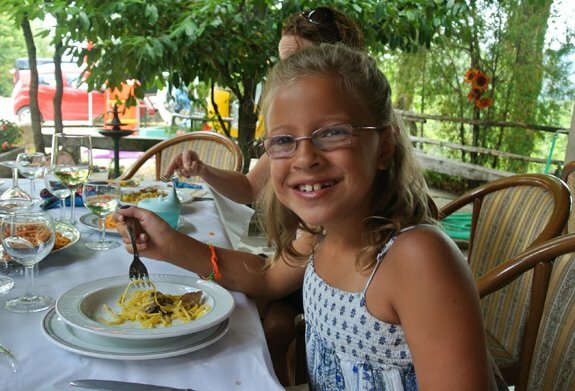 We love to dine out whenever we travel and enjoy the best each region has to offer. 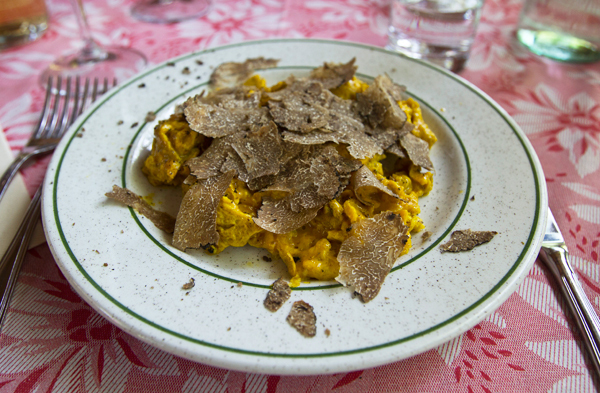 In Umbria, particularly in the fall, truffles are everywhere, and we truly appreciate the unique ways many Umbrian chefs have found to enhance their regional dishes with truffles. 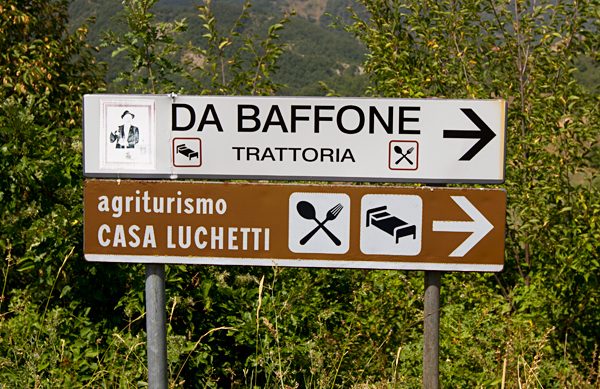 Recently we were taken to a trattoria located in the countryside just outside of Gubbio that has a reputation for serving outstanding truffle dishes called Da Baffone. It is set up in the hills in a rustic setting but the food is certainly well worth the drive and after our first meal there with family, we know we will be returning there often to get our truffle fix. On our first visit to Da Baffone we visited on a weekday at lunch, as a good sized group of family and friends, and we had the trattoria to ourselves. On our second visit we dined on a Sunday at lunch and the trattoria was completely packed with every outdoor table full, with a number of folks dining indoors as well. Certainly I would suggest if you are making a visit to Da Baffone that you make reservations first. After speaking with the owner on our first visit, we learned they own their own truffle dogs and hunt for fresh truffles often to ensure they always have a good supply on hand. The proprietor is an expert on truffles and we learned a good deal about storing and preparing fresh truffles after speaking with him. 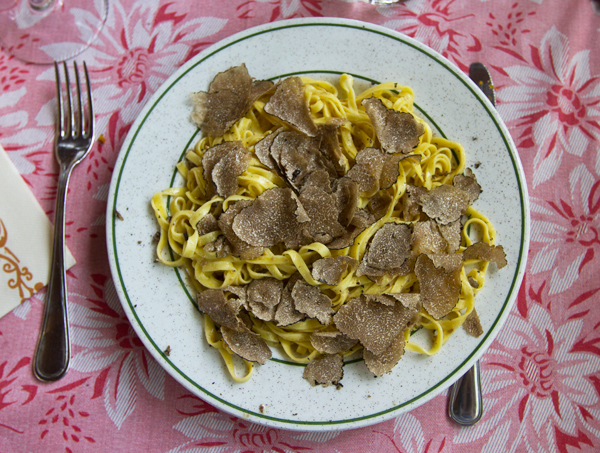 Da Baffone offers a choice of two menus, one with truffles and the other without. The truffle menu began with a plate of mixed bruschetta, cheese, and frittata all topped with a generous helping of fresh shaved truffles. The pasta dish followed and included a large portion of fresh tagliatelle mixed with their own truffle sauce then topped with more fresh truffles. For the second course, you can enjoy an amazing truffle frittata (See MY VERSION HERE), scallopini with truffles, or a mixed grill (plate of mixed grilled meats). 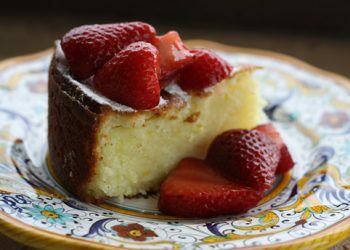 There are a few options for dessert, but by that point we couldn’t even consider another bite. The meal includes local wine and coffee, and the price is unbelievable reasonable in price. The regular menu without truffles was ordered by most of the children in our group and began with a lovely mixed appetizer plate of prosciutto and melon, hot bruschetta, cheeses, and cured meats. 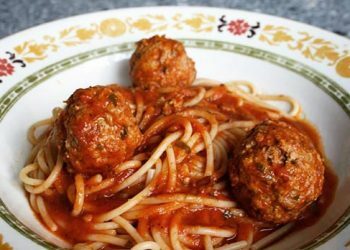 This plate was followed with a delicious serving of fresh tagliatelle topped with tomato sauce. The mixed grill was enjoyed by all for the main course or entree, and then dessert followed. As you can see by my photos below, the portions at Da Baffone are generous, including the amount of shaved truffles used on every plate. This is certainly one trattoria I would recommend to all truffle lovers and I know we will be visiting Da Baffone often ourselves in the future whenever we need our truffle fix! Great little piece on tartufi, Deborah. Our annual Christmas-time trip to Firenze will certainly include as many dishes prepared with these gems as we can find. The cinghiale is second on the list, but not by much. When we lived in Firenze, a local showed us a method for storing black truffles in the freezer for periods of a few months at least. First, they must be dry. Do not wash or scrub the outside before freezing. Fill a small canning jar with fresh, uncooked rice. 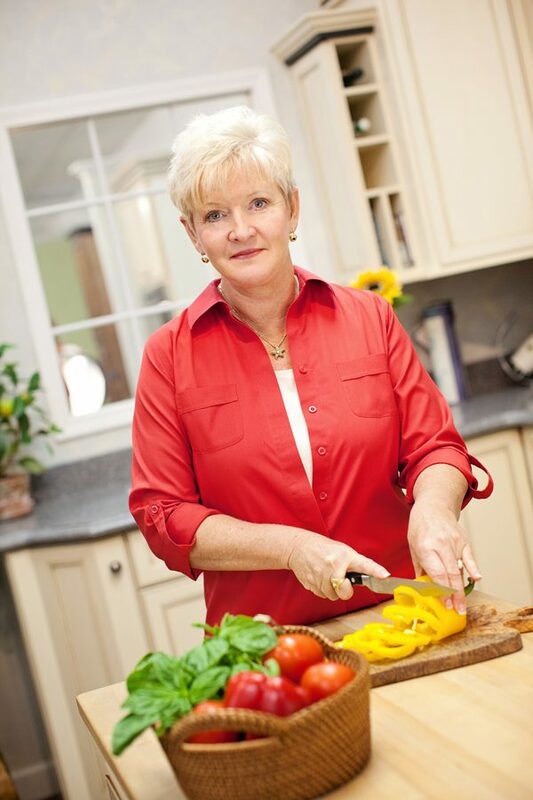 I use the 5 Oz Bormioli Rocco jars with the gasketed lids, made in Italy. For rice, I use Vialone nano. Depending upon the size of the tartufo, I generally place a single one in the middle of the rice in each jar. The rice should completely surrouns the tartufo, and there should be no air space at the top of the jar. Screw the lid tightly and store in the freezer. The best freezer is one which does NOT have auto-defrost. That way, the temperature will always remain cold without fluctuation. Self-defrosting freezers, such as those in our ubiquitous fridge-freezer combos, warm up to just above freezing on a regular basis to remove frost. In contrast, deep freezers do not cycle. To use the tartufo, take the jar out of the freezer, and let it thaw at room temperature. No microwave! Use the tartufo in your recipe of choice, and as an added benefit you can use the lovely aromatic rice in a risotto or other rice dish. Thanks for the tip of freezing tartufi, I will certainly try it! After repeated efforts, I confess that I am not a mushroom fan. But – I have never had a truffle. They look so different from mushrooms, and I am curious about their taste and texture. Can you shed any light? Tracy, truffles are nothing like mushrooms apart from having an earthy aroma as many mushrooms do. Our black truffles here is UMbria are quite firm and have to be grated or shaved very thin to use. The taste is actually subtle, it is more of the aroma you experience. Well, I would have to say, that is encouraging. Anything that needs to be grated certainly moves it away from resembling mushrooms. I will give them a try when the opportunity arises. Thanks! I have never really been a fan of truffles, I almost don’t see the point. I have never had a dish where truffles were needed in any way, anytime I have had them I think the dish was as good or better without them. I do believe they are an acquired taste. 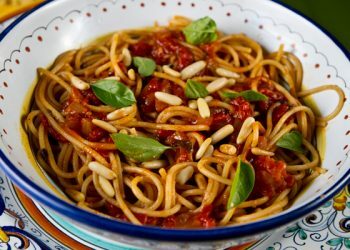 If fresh and in season they can take a basic pasta dish from good to amazing. 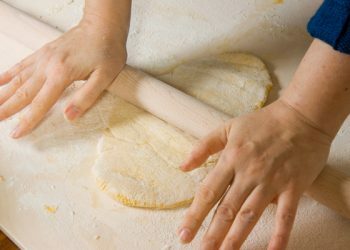 As someone who has visited Italy recently, are there any fun foodie stops that you can recommend. In Lucca I found a great kitchenware store called Penelope, their version of a Williams-Sonoma style store. Did you come across anything similar in the Amalfi coast? 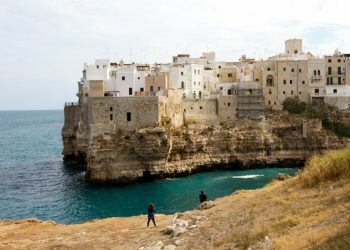 I haven’t been to the Amalfi coast for a number of years, but I doubt there are any large kitchen stores there. I have enjoyed reading your article on truffle. 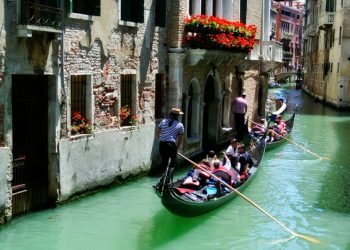 I am coming to Umbria at the beginning of June. I look forward to sampling some beautiful cuisine. My husband and I own a small truffiere in Gisborne, NZ (recently purchased) and we’re excited to learn.